Yogis who adhere to the traditional yogic philosophy and tradition proposed in Pantanjali’s Yoga Sutras often carry those values both on and off the mat. One of the core aspects that Pantanjali urges yogis to practice is the act of self-love or self-compassion. This teaching is related to his first teaching (otherwise known as the first Yama) known as ahimsa in Sanskrit – the act of non-harming. One of the most hotly debated issues in the world of yoga apparel today is whether or not shapewear violates this first core teaching proposed by one of the forefathers of yogic philosophy. Does sliding on a pair of high-waist capris with built-in shapewear to make you appear slimmer means that you don’t have self-compassion and unconditional love for the body you have? On one side of the argument, it’s true that shapewear fundamentally alters your appearance by concealing unwanted fat or jiggly areas. Many individuals may view this as hatred towards their own physical appearance, a clear violation of one of the core principles of the practice. As in most debates, there are other yogis who take a slightly different view of this sometimes-controversial clothing choice. Shapewear does assist in concealing trouble areas of your body, but it does not actually cause physical harm to the wearer. Your body is no worse for wear as a result of donning these items. In fact, some yogis find shapewear to be more comfortable than items without additional support. This can be particularly true for yogis who have excess skin, which can hang painfully during inversions regardless of how mild the pose truly is. For these individuals, it would seem that shapewear is actually a commitment to practicing self-compassion by allowing them to find a more comfortable way to enjoy their yoga practice. Some yogis prefer shapewear because it gives them a confidence boost compared to ordinary street clothes or workout clothing. Taking their focus off their self-consciousness allows them to focus more on their intentions, cultivating a life that truly embraces all of the yoga sutras that Pantanjali proposes. Ultimately, the desire to purchase and wear shapewear can stem from a number of places. Your intentions in wearing it can often determine whether you may need to return to the more basic fundamental principle of self-compassion and self-love. If it allows you to focus more on extending your practice to places beyond the mat and achieve a more well-balanced lifestyle, then shapewear doesn’t have to mean that you don’t love your body. Likewise, you may find it more comfortable which is certainly an indicator that you do care for the body that carries you. By making it as comfortable as possible, you are practicing self-care, compassion, and love. Before you pass judgment on your own decision or someone else’s decision to wear shapewear for his/her yoga practice, you may want to evaluate the intentions behind it. They may not be as clear as they first seemed. Campus Calm had the opportunity to speak with Bo Forbes about how yoga can be an effective treatment option for stressed-out students who may be suffering from anxiety, depression, and insomnia. Forbes is a yoga teacher, clinical psychologist, and integrative yoga therapist with over twenty-seven years of clinical experience in mind-body healing. She is the founder of Elemental Yoga and Director of the Center for Integrative Yoga Therapeutics(TM), established in 2006, which offers innovative mind-body yoga therapeutics to clients in the Boston and New York areas. She has a master’s degree in Social Sciences and a doctoral degree in Clinical Psychology. Campus Calm: How can yoga be beneficial for stressed-out students who are dealing with problems like depression, anxiety and insomnia? Forbes: Yoga requires that you focus on your breath and on what you’re doing in a certain posture. This focus helps you take your mind off what you’re worrying about — either anxiety-wise or depression-wise. The movement of an active yoga class — the contraction and release of muscles — can help you release the muscular tension that comes with anxiety and depression, helping you to discharge stress and balance your mood. That combination of movement, plus certain things that you do in the practice, plus the breath, really makes you focus and be totally in the present. You’re not thinking about the past or worrying about the future. In addition, other forms of yoga that are non-active, such as Restorative Yoga, can also help. Campus Calm: Some students go outside and run when they’re stressed. How is it different to learn to slow down and do yoga? Forbes: Again, it’s that focus on the breath and what you’re actually doing which helps you achieve body awareness. It’s pretty life-changing, whereas if you’re just doing a workout, or just running, you can still zone out in that running experience or in that workout. You can be not present and run ten miles. I think a lot of people do just that. A yoga class really demands that you be present on so many levels. Other than just a workout for the physical body, it’s a mind-body workout. Campus Calm: Isn’t it true that yoga helps you practice gratitude for your body? Forbes: That’s a nice thought but I don’t know if that’s the goal of yoga. I think some people may say that happens. There can be a problem with yoga in America today in that, like in other endeavors, there’s an emphasis on having that perfect, thin yoga body. We still have that to worry about. Many women who take classes will compare themselves to the size of the other women. Still, one of the guiding principles of yoga is contentment and acceptance- and gratitude can be an extension of that contentment. Campus Calm: Students grow & learn when they are able to block out the world’s expectations and instead listen to what they really want out of life. How can yoga help students learn how to focus and how to develop an inner dialogue that leads to internal awareness? Forbes: Yoga is about quieting that external stuff — what the world expects of us — and moving inward. The more you are focused inward, quieting your mind, being present, and moving your body in a certain way, the more you are able to get in touch with your inner truths. And the more apt you are to create and maintain a productive dialogue with your inner voice, as opposed to someone else’s. Campus Calm: In one of your articles, you said, “A personal crisis can be a gift on the path to spiritual maturity.” Can you explain that further and discuss how a student’s attitude in adjusting to the challenges of college life could help him or her develop a strong sense of self that will serve them their entire lives? Forbes: Every crisis is an opportunity for growth — to be stronger and to mine our own internal resources. If things are always easy, we don’t realize that we can rise to the occasion. A crisis helps us to dig deep within, to connect with something really strong inside us. And yoga helps us to develop that inner strength, so we can call upon it when we need to. Campus Calm: Can yoga, in some cases, be more effective than prescription medicines in treating anxiety, insomnia, and depression? Forbes: Many of my students have used a yoga program, under supervision from a yoga specialist and their physician, to go off antidepressants and anti-anxiety medications. It’s a complex process that involves a combination of active yoga and restorative yoga. Restorative yoga is a great way to address anxiety and depression. For people with anxiety and depression, they have a lot of imbalances in the nervous system. The nervous system is either on hyper-alert all the time or it might be under-functioning. Restorative yoga’s extraordinary combination of breath work, internalization of the senses, calming of the mind, relaxation of the physical body, and passive stretching help soothe the nervous system. It subdues the “fight or flight” response characteristic of anxiety, insomnia, and chronic stress, while activating the “resting and digesting” response of the parasympathetic nervous system, resulting in mental calm and physical release. It’s a whole different process from active yoga. Chances are there’s a restorative yoga class somewhere in the city that you live in. Once you learn it, you can do it in your dorm room or wherever you are. Pilates and yoga are often thought of as being in the same exercise category. They are gentler forms of exercise and meant to exercise the mind almost as much as the body. Pilates and yoga are vastly different forms of exercise despite these similarities. When you compare both you should be able to determine which one is suited for your unique situation. Pilates was developed by Joseph Pilates in the 1920’s and was inspired partly by yoga movements as a way to encourage healing after injuries. It is focused purely on physical conditioning, although some people report that there is a mindfulness element to it that reduces stress and encourages contemplation and self-awareness. This effect is secondary however, and not a part of the system in the way it is naturally part of yoga. In contrast to this earthlier purpose and mindset, yoga originated in India and is thought to be thousands of years old. The original purpose of yoga was to train the body to elevate the practitioner into a state of self-awareness that would promote spiritual development. Yoga was fundamentally important to religious practices in India, and although much of that has been abandoned in western practice, most forms of yoga are focused primarily on the mental components and secondly on the physical elements. Both forms of exercise work on stress relief, flexibility, and muscle control with a series of gentle movements. However, Pilates has a strong focus on core strength and the strengthening of specific muscles. In contrast, the focus of yoga is on flexibility and all over muscle strength. Movements in yoga are often long and flowing, involving the entire body whereas a lot of Pilate’s movements are more focused on a single area. One important difference between yoga and Pilates is the equipment used to enhance the exercises. Pilates was designed to work in conjunction with equipment that the inventor called the apparatus, with many of the moves performed against resistance created by this apparatus. In contrast, yoga is mostly performed without any equipment, relying on body strength and gravity to provide resistance. In recent years, equipment meant to aid in yoga practice has been added, but this is a recent movement and not fundamentally part of the system. How you breathe is a fundamental concern in yoga. 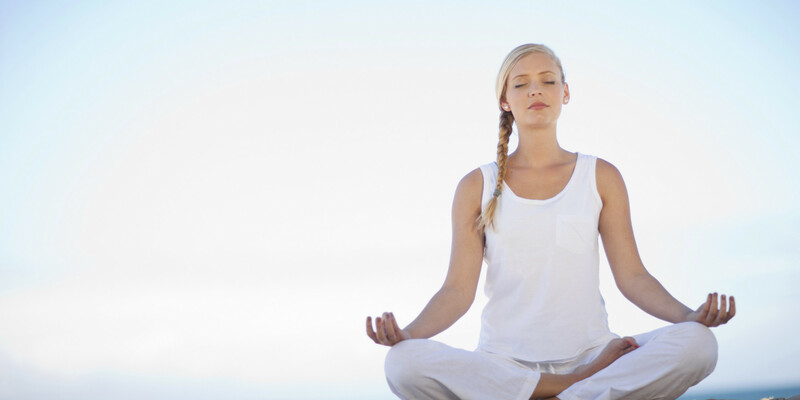 In order to relax the body and train the mind, the breath is used to encourage and reduce stress. Concentration on the breath as a form of meditation is an almost universal technique with this system, and most yoga poses come with strict instructions for how to breathe correctly throughout. In contrast, Pilates is focused on the physical movements. Because of the concentration on core strength, the belly is often held tight and thus, breathing appears shallower and concentrated in the rib cage. There usually is no meditation in Pilates and no focus on the breath as a way to focus and elevate the mind. Both yoga and Pilates are gentle forms of exercise that can have very specific benefits for those who practice them regularly. Although they are different, they work together well and can have a complimentary effect if used to promote overall health, strength, and fitness. If you ever visited a yoga center, you have probably started with, or relaxed at the end of the session, with the mantra Om (ॐ). But have you ever wondered what it means and where it comes from? It is important to learn the correct way to chant the Om mantra in order to fully enjoy its benefits. First of all, let’s learn its correct pronunciation. It has three syllables: A-U-M. It begins with a nasalized vowel [a:] that transforms into [u:] and ends with a long and vibrant [m]. Om is pronounced in a single deep exhalation: a-ā-u-ū-m-(ng)-(silence). Finally, gently close your lips for the final syllable [m], allowing the sound to move from the throat up. The vibration of the [m] sound then resonates within your skull, massaging your pineal and pituitary glands, until it finally reaches the crown of the head.